Claimants denied for Social Security Disability Insurance can generally request an appeal of the denial decision within 60 days of receiving their denial letter. If its the first denial claimants generally request a reconsideration (although some states have eliminated this level of appeal). If its their second denial claimants can request an administration hearing. If you have requested an administrative hearing theres a strong possibility that your claim has been denied multiple times. The good news, however, is that the administrative hearing will give you the best possible chance of getting approved for benefits. In fact, it will be the first chance you have had to plead your case directly to a person with the authority to make a disability decision. With that in mind, its critical that you attend the hearing if possible. If its not possible, however, review your two alternatives detailed below. The first alternative to not attending a disability hearing is to attend a video conference at a specified location while the administrative law judge appears remotely by video. This may be a good option if you live too far from a Social Security Office of Disability Adjudication & Review (ODAR) and you cannot travel great distances. Consider, however, that while this option may be preferable to simply requesting that the judge make a decision based on your disability file alone, there is no substitute to attending a hearing in person and allowing the judge to assess your credibility. Additionally, its not unusual for video conferences to be delayed or disrupted by any number of issues such as blurry video, power outages, or audio delays which can jeopardize your right to a fair hearing. 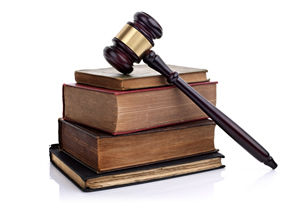 Request an On The Record (OTR) decision for your case. Another option if you cannot attend your disability hearing is to request that the judge make an On The Record decision. Although attending a hearing is generally better than an OTR decision, if thats not possible, you will need to let the SSA know in writing the reason why you cannot attend the hearing and ask the judge to make a decision based on your disability file and the medical records provided to the SSA. You will also have to complete Form HA-4608. Although it is possible to avoid attending the disability hearing, claimants should make every effort to attend. The hearing will be your best opportunity to present evidence to the judge and answer questions about your case, greatly improving your chance of winning benefits.